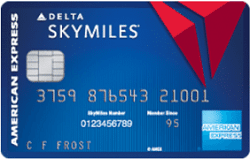 The Blue Delta SkyMiles® Credit Card from American Express is a travel rewards credit card for those that like to fly Delta Airlines but don’t fly enough to see the need to justify an annual fee. While there isn’t nothing fancy about this card, the Blue Delta SkyMiles is a nice choice for travelers looking for a little something that gets them closer to free airfare and fare upgrades. Cardholders earn 2 miles per $1 spent for purchases made directly with Delta. In addition, you’ll earn 2 miles per $1 spent at U.S. restaurants. All other eligible purchases earn 1 mile per $1 spent. New applicants can earn 10,000 bonus miles after spending $500 in purchases on your new card in your first 3 months. Compared to its siblings, the Gold Delta SkyMiles® Credit Card and Platinum Delta SkyMiles® Card, the Blue Delta SkyMiles does not offer as many perks. Though, you can enjoy mile-earning opportunities at the cost of no annual fee (See Rates & Fees). Thus, this card is perfect for frugal flyers. 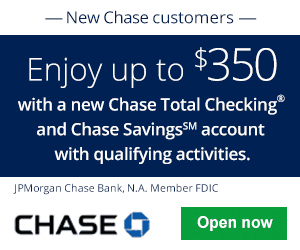 • Earn 10,000 bonus miles after spending $500 in purchases on your new Card in your first 3 months of Card Membership. • Earn 2 miles per dollar at US restaurants. • Earn 2 Miles per dollar spent on purchases made directly with Delta. 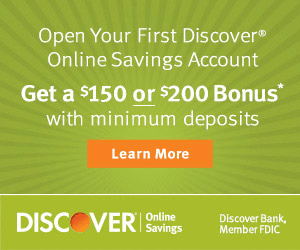 Earn 1 mile on every eligible dollar spent on other purchases. • Receive a 20% savings in the form of a statement credit after you use your Card on eligible Delta in-flight purchases of food, beverages, and audio headsets. 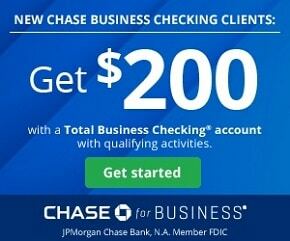 Earn 2X miles at U.S. restaurants. Eligible purchases made directly with Delta also earns you 2X miles. And, all other purchases earn 1X mile. There are no caps and limits to how much you can earn. In addition, miles don’t expire as long as your account is open and in good standing. Redeem your SkyMiles for airfare and fare upgrades or online in the SkyMiles MarketPlace for merchandise, gift cards, and experiences. Redemptions in the SkyMiles MarketPlace will generally land you below $0.01 per mile. So, the best way to redeem your miles is for Delta award airfare and fare upgrades. Miles will generally be valued between $0.005 and $0.02, depending on the route you take. One-way economy redemptions for travel within the U.S. start at 10,000 miles. Take advantage of Delta’s fare sales and discounts. This can reduce the number of miles required for your flights. Though, these deals are usually limited to specific routes and timing restrictions. That being said, mileage requirements may increase during periods of peak demand, such as holidays and weekends. When you use your Blue Delta SkyMiles Card to pay for eligible in-flight Delta purchases, you get a 20% discount. Eligible purchases include food, beverages, and entertainment. 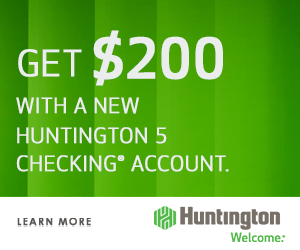 There’s no limit to your potential savings with this benefit. The Blue Delta SkyMiles® Credit Card from American Express isn’t going to be the fanciest credit card here. That’s not to say you can’t get good value out of this card. If your priority is earning more Delta SkyMiles than what you’d accumulate by simply purchasing Delta airfare, this card won’t disappoint you. Though, if you do fly Delta often, you may get even better value out of your card if you go with one of Delta’s more premium travel cards. These include the Gold Delta SkyMiles® Credit Card and Platinum Delta SkyMiles® Card. They do come with an annual fee, but for frequent Delta travelers, they will have perks that will outweigh it. You can see our review of those cards and find more on our Credit Card Promotions page here on BankCheckingSavings. Learn more about this card and its features here. The editorial content on this page is not provided by any of the companies mentioned, and has not been reviewed, approved or otherwise endorsed by any of these entities. Opinions expressed here are author’s alone.